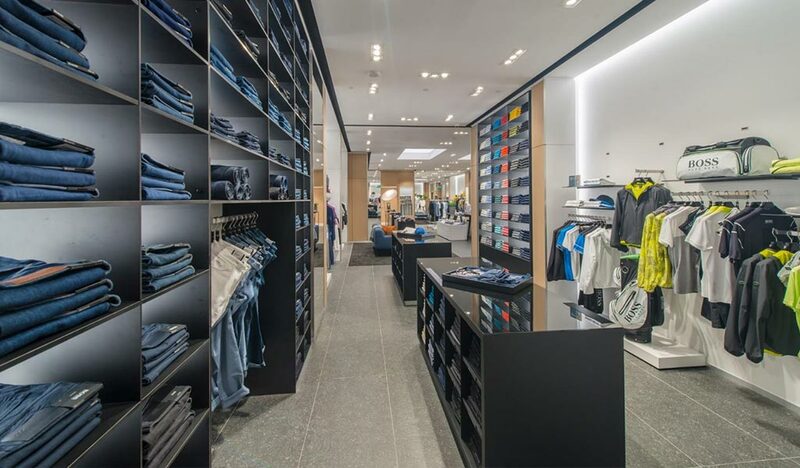 Brick-and-mortar retail is and remains the most important point of contact between BOSS and its customers. 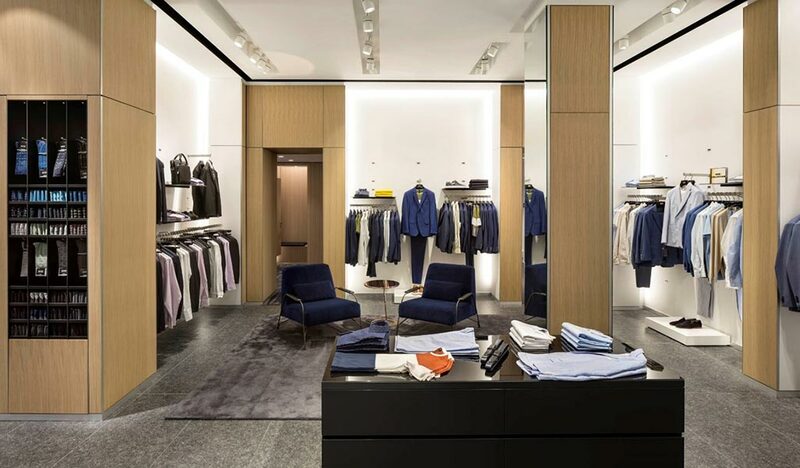 The new BOSS store concept creates an inviting atmosphere, contributing to a unique shopping experience. The modern spatial layout is the perfect setting for the brand. 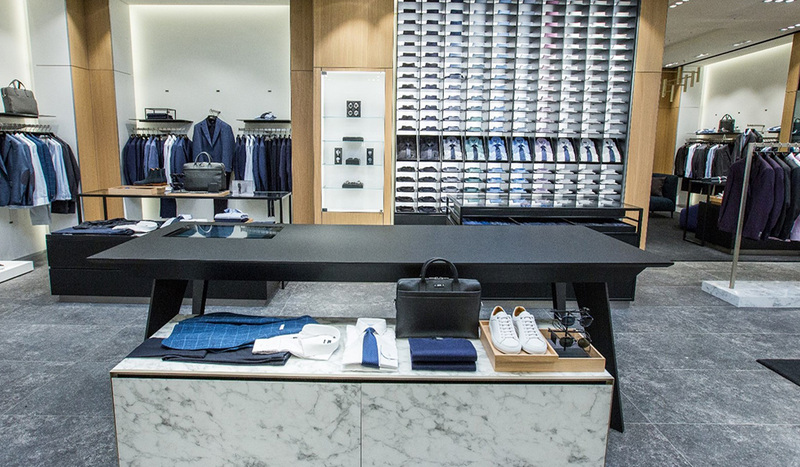 Both the look of the stores and the functionality of the furniture system have been significantly enhanced. Additional styles and sizes are available directly in drawers and hidden compartments, resulting in an even more efficient, more personal customer service and an increase in customer satisfaction. The integration of digital elements provides a seamless shopping experience between the online store and brick-and-mortar business. In addition to using tablets, we are increasingly relying on large touchscreens to provide customer service. Customers can use “experience tables” to order any styles and sizes directly in the store or else order them to be delivered from the comfort of their own home. 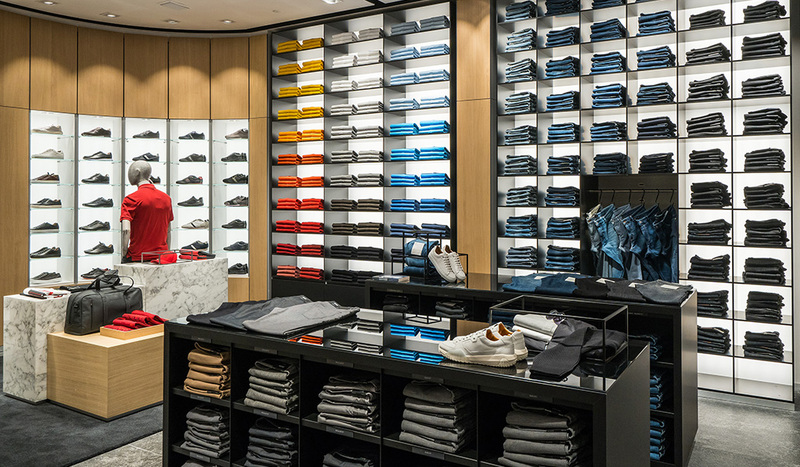 HUGO BOSS regards sustainability as the interplay between quality, innovation and responsibility and thus as an integral part of its business activities. 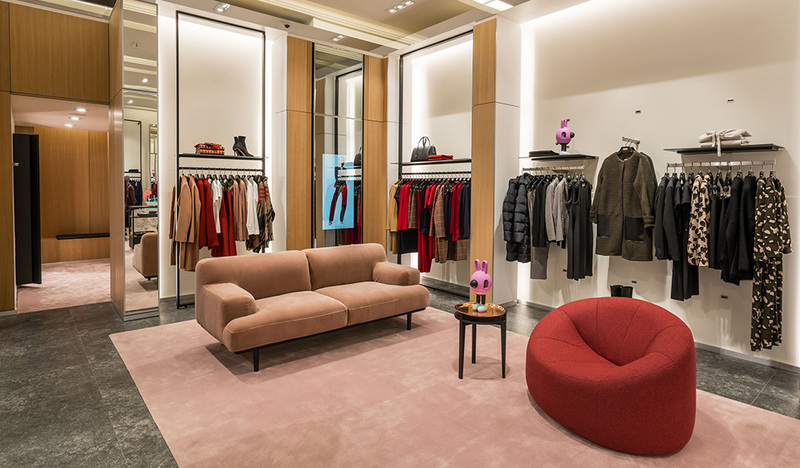 The development of the new store concept has incorporated sustainability aspects such as the use of sustainably produced materials, a modular furniture system and efficient energy management. “Category walls” – the complete presentation of products within a category – provide customers with a quick overview of the variety of the BOSS offering and the many ways in which it can be combined. They showcase the products attractively and ensure a high degree of availability.